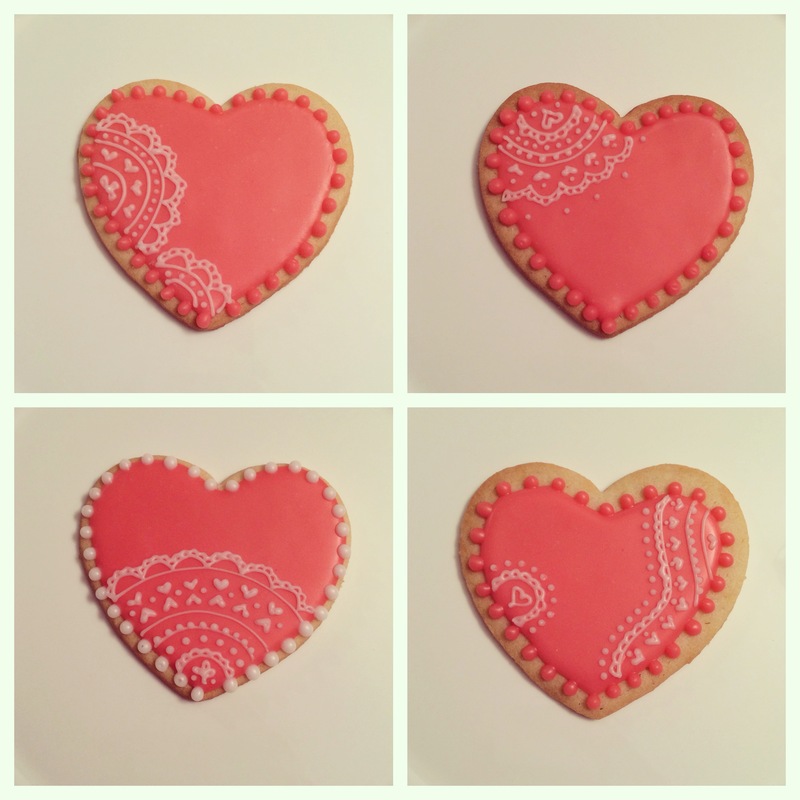 We’ve been experimenting with detailing, and tried out a lace effect on heart cookies last month. Needless to say, we loved the results. Hand-piped detailing, these took awhile to create, but the reaction of friends and family who received the cookies was worth it.